& 3.0TB SAS Enterprise Storage (3.0TBx1) Hard Drive DVDRW, Dual Gigabit Network/Ethernet Sound. 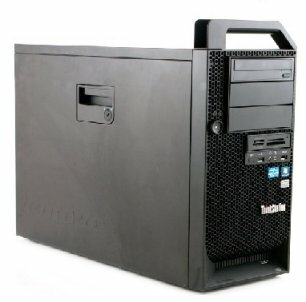 IBM/Lenovo D30 is a Extreme performance workstation designed for high end professional computing. Running Dual 8 Core Intel E5 Xeon processors providing 16 Cores/32 Threads. The D30 is ideal for CAD, CAE, CAM, DCC, Video, VR, Animation, Pharma/Biotech and Oil/Gas projects. A ultra high end solution designed for complex computing environments that require outstanding performance, expandability and capacity. Supports SATA/SAS,SSD Intel VT, HT AES 16 Ram slots, Max 512GB memory. USB 3.0, 6 pci express slots, 6 Gb/s SATA/SAS supported. Includes 2 processors, 16 Cores - 32 Threads in Window 7/8/10, and available for Virtualization.